Libyan rebels have failed to arrest the ousted leader Muammar Gaddafi, now in hiding and preparing for a guerilla war. Instead they are targeting those they suspect of being paid Gaddafi supporters, with hundreds of innocent black people suffering. The spokesman also claimed that Gaddafi’s son Saif al-Islam Gaddafi has also remained in Libya, and is changing locations constantly. Other reports give various hints as to where Gaddafi may be. Reuters cites a French military source as saying that some 200 to 250 Libyan armored vehicles and cars have arrived in Niger, apparently via Algeria. The source believes the final destination of the convoy is Burkina Faso, and that Muammar Gaddafi or his son Saif may be with the motorcade. Colonel Gaddafi and some of his family members have been hiding ever since the Libyan capital Tripoli was captured by a surprise commando raid in August. Speculation about their whereabouts has been circulating ever since. 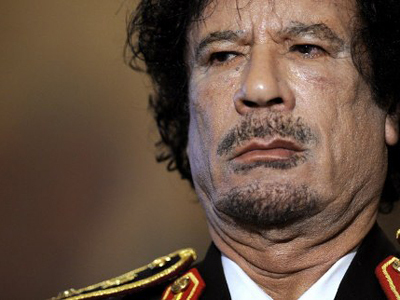 Gaddafi was reportedly exiled to a neighboring African country like Algeria or to a remote country like Venezuela. On August 22, there were rumors that Gaddafi was in talks with the authorities of the Republic of South Africa, while Al Jazeera debated whether Gaddafi would be heading to Zimbabwe or Angola. During the months of conflict Gaddafi had continuously rejected rebel demands to surrender and flee the country. He said he would die and be buried in Libya. Meanwhile the rebel National Transitional Council (NTC) told Al Jazeera that its representatives will be allowed into Bani Walid on Tuesday. The desert town southeast of Tripoli is the stronghold of the Warfalla, the strongest Bedouin tribal alliance in Libya. There was speculation that Gaddafi may be hiding in Bani Walid. Rebels besieged the town and declared an ultimatum for its surrender, but the tribal leaders rejected the demand. The NTC also confirmed on Monday earlier claims that Khamis Gaddafi, one of the ousted Lybian leader’s sons and a military commander, had been killed in skirmishes near Bani Walid. It is the third report of Khamis’ death since the war in Libya started. No proof of the claim has been presented so far. The triumphant rebels have been targeting supposed loyalists in the territories they control. There have been reports of the mass abuse of black people, who are suspected of being mercenaries from sub-Saharan Africa on Gaddafi’s payroll. Among the victims are nationals from Chad, Sudan, Ghana and Nigeria, many of whom came to Libya as guest workers and had no chance to flee when the violence erupted in the country. “Anyone with dark skin, they say he's a mercenary,” the Emirate newspaper The National cites a local resident as saying. Some reports claim hundreds of black people have been rounded up, arrested or even summarily executed in the first days after Tripoli was captured. Another unlikely group suspected of being Gaddafi stooges is 23 Ukrainians, who were arrested for allegedly being mercenary snipers. Ukraine had been a major source for professionals such as doctors and engineers under Gaddafi’s rule, with Libyan companies offering wages several times higher than what they could earn back home. The group, which includes a woman and several old men, was working for an oil firm. They arrived in Libya in during the conflict, which is the main point of suspicion for the new authorities, since no other evidence was found. All the Ukrainians deny being combatants and say they served as engineers, cooks and other civilian specialists at an oil field. They said the people who arrested them took all their possessions. “For some reason they think that Slavic people are snipers. We have nothing to do that. 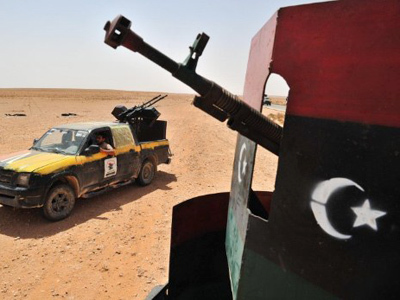 We came here to earn money peacefully,” Vladimir Doglov told RT's correspondent in Tripoli. The Ukrainian Foreign Ministry said it has managed to set one of the detainees free and is in negotiations with the NTC over the rest of Ukraine’s citizens in custody. None of them were charged with any crimes. ­It has been revealed that the CIA was closely co-operating with the toppled Libyan leader Colonel Muammar Gaddafi, and enlisted his security forces to question terrorism suspects. 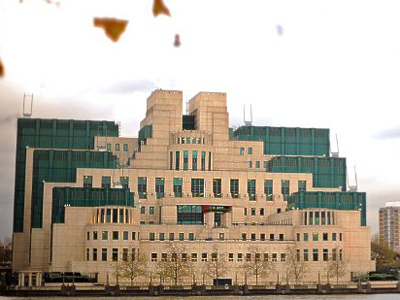 The deal allowed intelligence agents to circumvent safeguards against torture by transporting supposed insurgents to Libya. The allegations surfaced after human rights groups in Tripoli found documents outlining CIA and MI6 rendition programmes. The CIA is very skilled at disinformation, says anti-war activist and New York-based journalist Don DeBar, and it even attempted to play the Gaddafi aid card to Arab nationalists, presenting Gaddafi as a US ally while, in fact, NATO had been bombing Gaddafi’s troops for half a year. 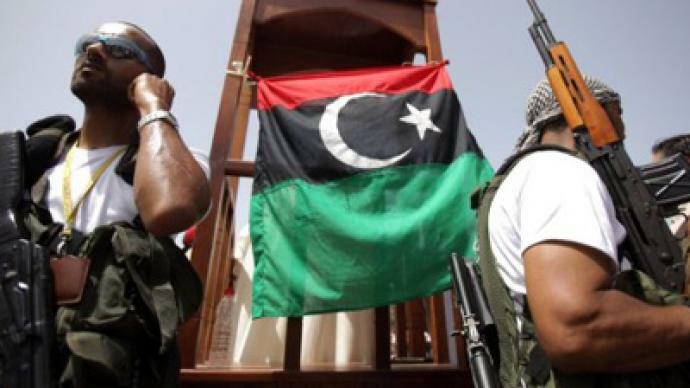 Among other reasons, by co-operating with the CIA “Libya essentially tried to get itself off the sanctions they suffered for a decade or so, to be allowed to trade with the international community – and the cost was very high”, DeBar explains. “That shows that collaboration with the US does not guarantee that you will be able to continue in power,” concludes Don DeBar, recalling the examples of Saddam Hussein and Muammar Gaddafi.